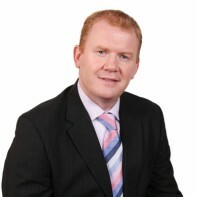 Senator Paudie Coffey has been given a second opportunity by Fine Gael to win election as a representative of the Waterford constituency. An engineering officer by profession, Coffey lost out in the four-seater in 2007 when he polled less than 10 per cent of first preferences. He was elected to the Seanad (Industrial and Commercial Panel) shortly thereafter where, at present, he is Fine Gael's Spokesperson on Environment, Heritage and Local Government. Coffey is a former selector and trainer of the Waterford U-21 hurlers.